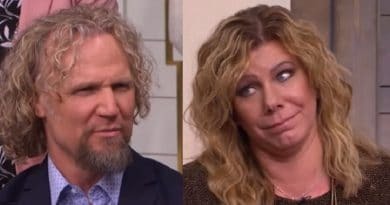 Sister Wives star Kody Brown spun quite the story for Meri Brown as her new B&B successfully comes together but will she fall for this? As Meri intently watches her husband explain his plan, that doesn’t mean she necessarily believes what he tosses her way. Kody Brown seems concerned about money. With a family that big, it makes sense. Further, it looked like he spun a lame-sounding excuse when it came to his financial agenda. One thing the husband of four didn’t hide is his tendency to take credit even when it might not be due him. He does a good job of this in the next episode of Sister Wives. While Kody’s great at fishing for the almighty dollar, he also seemed frugal when it is time to part with it. This was seen recently on Sister Wives when he dangled the family money out to Meri Brown. Then he pulled it back in. 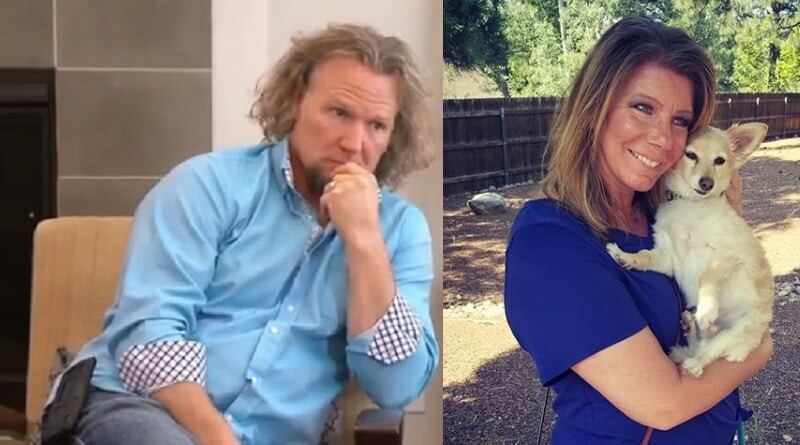 Meri Brown Gets Big Favor from Kody Brown? Meri went to the family for help with the down-payment for the B&B. At the time, Kody sounded like he’d come through for her. He happened to have that money available – he just needed to call his “business partner.” As fans watched, that offer soon came off the table. This left Meri Brown in tears. But that’s not the end of the story. On next week’s Sister Wives episode, “Kody Wants Out”, the tables turn. The Brown patriarch tries to sound like he did something wonderful for Meri Brown. It is almost as if he’s taking credit for Meri’s success in purchasing the inn. First, he takes over the ribbon-cutting ceremony. Second, he seems to act like he is the owner when the communtiy shows up. Kody Brown even holds the scissors with Meri as she cuts the ribbon. Considering the roadblocks Kody placed in front of her while she tried to buy the place, this was nice of Meri to share the limelight. 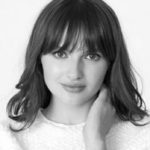 Kody’s Master Plan for Meri? 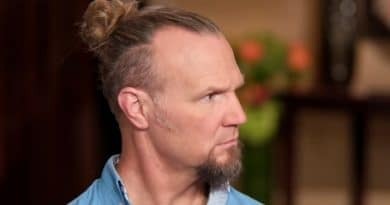 On the next Sister Wives, there’s a scene with Kody and Meri Brown on the B&B front porch alone. If this scene was a soap opera, sinister music might play in the background. Kody stands with Meri and he tries to spin her success as part of his plan. He admits he was a naysayer for the entire time she worked to get the inn. But he says he did this on purpose. He also told her his plan worked, resulting in Meri buying the place on her own. Kody stopped short of suggesting Meri thank him for her success. But it sure looked like he was baiting her so he’d get some credit and he was able to turn it around as if he did her a favor. Anyone who watched Sister Wives this season will see right through this. Kody Brown didn’t want to give up the money. But now that the spotlight is on Meri Brown and the B&B, he found a way to make himself an important part of her venture. Watch the new season on TLC Sunday nights. 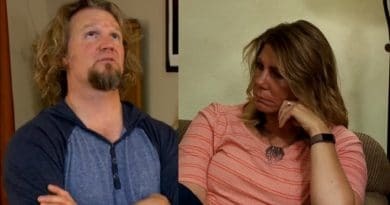 ‘Sister Wives’: Kody Brown Frantic to Stay On TV – Offers Pay Cut to Stay on Air?